A mug of hot cocoa is basically a wintertime must. 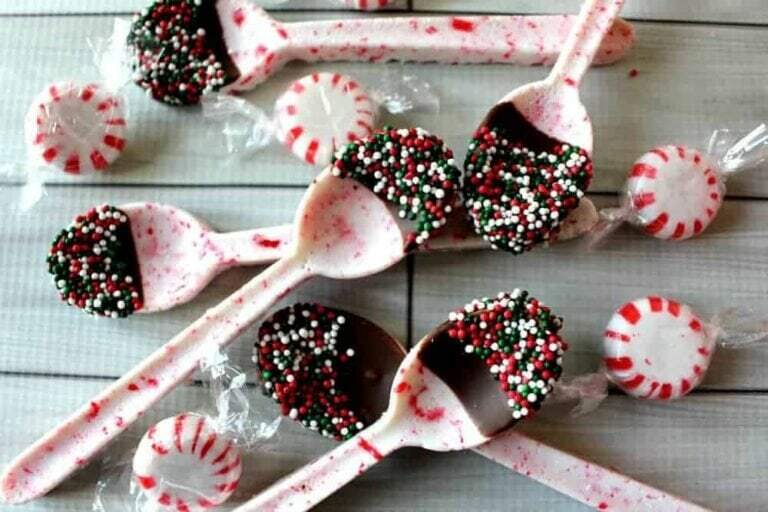 Take the treat to a whole new level with these chocolate peppermint spoons. When you use them to stir your steaming sip, the chocolate and peppermint slowly dissolve to give your hot cocoa *all* the festive flavors. They're the perfect gift for that hard-to-shop-for person in your life, too. 2. Crush the peppermint candies in a Ziploc bag. 3. Fill the spoon mold with the crushed candy and place in the oven for about 10 minutes (until completely melted). 4. Take out of the oven and let cool completely. 5. Melt your chocolate in the microwave. Dip each spoon into the chocolate and lay on a piece of wax paper. 6. Top with sprinkles, then let cool and harden. Do you prefer hot chocolate or coffee? Tell us below!